New recording from pianist Tamara-Anna Cislowska with the Tasmanian Symphony Orchestra, conducted by Johannes Fritzsch. Absorbing simplicity, transcendent serenity, deep spirituality. 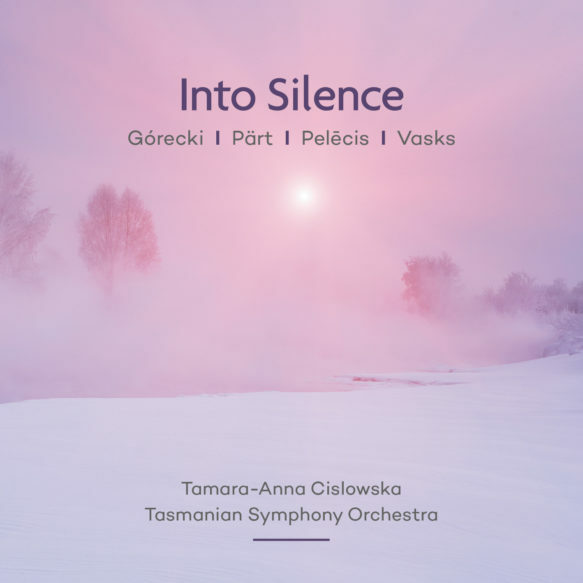 Into Silence, the new album from pianist Tamara-Anna Cislowska, immerses us in the sound world of an extraordinary generation of composers from the Baltics: Henryk Górecki (born Poland, 1933), Arvo Pärt (Estonia, 1935), Pēteris Vasks (Latvia, 1946) and Georgs Pelēcis (Latvia, 1947). As Europe emerged from the horrors of World War II, Górecki and Pärt were children, while Vasks and Pelēcis were soon to be born. All four grew up in Soviet-dominated Eastern Europe, and their music looks back to the trials of the preceding years and speaks with hope of the future, all the while responding to the frost-shrouded landscapes in which it came to life. These composers grappled with cultures in which music was simultaneously highly prized, but bound by strict social and political constraints. From the rare genius of these four men, this set of conditions produced music of astonishing and distinctive beauty, characterised by profound simplicity and a true valuing of the silent. The album interweaves the intimacy of solo piano with concertos and orchestral works, recorded with the Tasmanian Symphony Orchestra under Johannes Fritzsch – himself brought up behind the Iron Curtain. The music of Georgs Pelēcis is an undiscovered gem, barely recorded and almost never heard in the concert hall. His All in the Past, an elegy for violin and orchestra, beguilingly mixes the influence of tango with the styling of the baroque; but it’s his sublime Concertino bianco (literally ‘Little White Concerto’) for piano and orchestra, which opens the album, that is set to take its rightful place as a gem of 20th-century music in this stunning new recording from Cislowska. Inspired by Gregorian Chant and Orthodox Christianity, the music of Arvo Pärt reaches towards the ancient at the same time as forging new paths in serenity. The use of simple rhythm and stepwise melody that he called ‘tintinnabuli’ (Latin for ‘bell ringing’) produced the exquisite Spiegel im Spiegel, and its almost addictive repetitions are shared by his other solo piano works on this album, Pari intervallo and Für Alina. The landscape of his Latvian homeland underlies Pēteris Vasks’ music, finding comfort he was never afforded as the son of a clergyman in a strictly secular regime. In his music for solo piano, the simple gestures of White Scenery evoke the calm of a snowbound landscape, while in Music for a Summer Evening –written in 2009 – we feel the serenity of dusk. In Cantabile, for string orchestra, we move from the contemplative to ecstatic climaxes. Henryk Górecki became a household name in the 1980s after the phenomenal success of his Symphony of Sorrowful Songs, which made him the highest-selling classical composer of modern times. His Three Pieces in Olden Style shares the luminosity of that chart-topping work, while his Piano Concerto finds a more urgent sense of movement, echoing the rhythmic impulse of baroque dances. 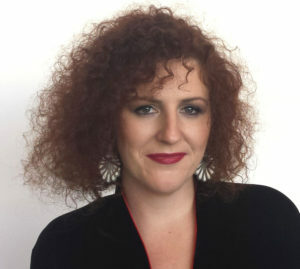 Tamara-Anna Cislowska’s recordings have won, amongst others, the 2015 ARIA Award for Best Classical Album and Gramophone Magazine Editor’s Choice.